No-one can deny that the way we enjoy Cognac has changed almost beyond all recognition over the past couple of decades. 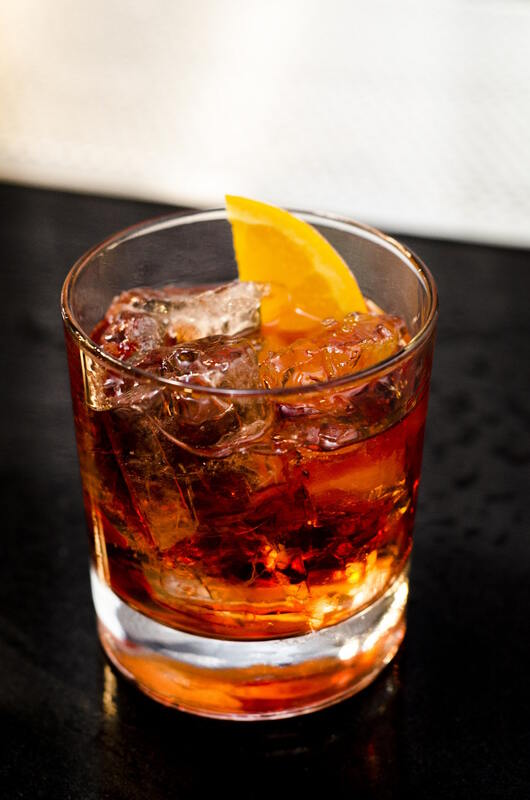 The use of Cognac in mixed drinks and cocktails is now commonplace in virtually every country around the world. You only need look at the fact that many Cognac brands now produce lines that are intended to specifically be used in cocktails to realize how much our beloved drink has embraced the 21st century. It was probably in the USA that Cognac cocktails first became truly popular, and the trend was soon followed by nations the world over. For example, look at the ‘beautiful people’ of China sipping their Cognac cocktails in the hottest night clubs and bars and you can appreciate how true this is. 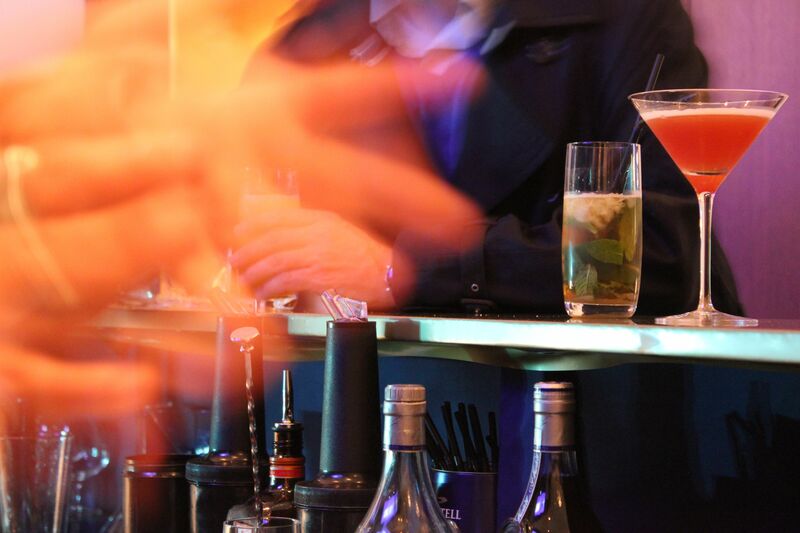 So, to celebrate this, we decided to create the Cognac Expert ‘Top 30’ best Cognac cocktails and mixed drinks list. And if that’s not enough for you, then make sure you check out our Cognac Drinks & Cocktails section. As with any job, if you want to mix good cocktails then you need to have the right kit. Serving glasses; And much as drinking Cognac in its unadulterated form is best done from a tulip glass or balloon snifter, then so is drinking a Cognac cocktail from the correct glass also vitally imp0rtant. You’ll need a range of glasses dependant on the cocktails you make. Sometimes you’ll need a highball, or a tumbler, long drink glass, or even a champagne glass. And the most important part is the Cognac itself. Because you do NOT want to use excellent or expensive Cognac in cocktails. Why? Well, even the greatest of connoisseurs claim that when they drink Cognac in a cocktail, it’s impossible to tell whether it’s a VS or an XO – there are simply too many other tastes and aromas that influence the taste. So there’s simply no point in using an expensive XO, when a reasonable VS or VSOP will do the job just as well. Since 1996, the governing body of Cognac – the BNIC – has been promoting the use of Cognac as a component of cocktails and mixed drinks. And not only the BNIC, but the Cognac houses themselves. 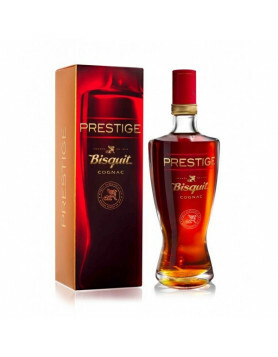 For example, Bisquit Cognac in South Africa promote a cocktail know as the Summit. So let’s look at that one a little more closely. 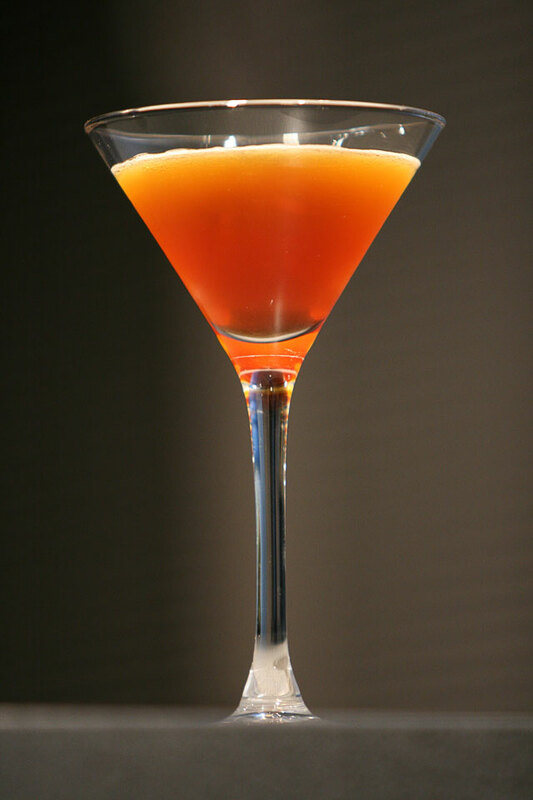 The Summit Cocktail was created in 2008 specifically for the occasion known as the International Cognac Summit, an event by the BNIC. 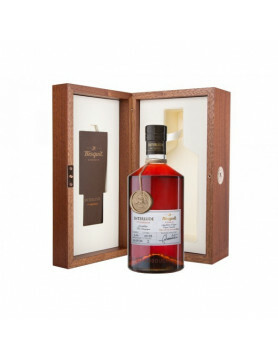 Mixologists and other Cognac experts joined forces with the aim of creating the ultimate Cognac cocktail. The cocktail had to be simple to produce, with easily accessible ingredients. It also had to look fabulous – and, naturally, taste amazing. It took a few days, but eventually the Summit was born. Place the lime and ginger into a glass, and add 2 cl of Cognac. Then add ice and stir. Add the rest of the Cognac and lemonade – then, finally add the cucumber peel. Voila – you’ve just created your very own Summit cocktail. So, that’s the Summit – let’s take a look at the other 29 cocktails in the list. Place the Cognac, orange juice, and rasperry juice in the shaker, together with the ice cubes, and shake! Pour into a pre-cooled glass, add the orange slice on top… And you’re ready to serve. Fill the shaker with ice, Cognac, crème, and cream. Mix well, pour into a tumbler glass and finish with some cacao or muscat powder. Putt the ice cubes into the shaker, then the other ingredients. Shake, and pour through a filter into the glass. Voila! Put two ice cubes and the other ingredients into a mixing glass. Stir well, then and into a tumbler glass to serve. Shake ingredients together with the crushed ice, pour into glass, and decorate with the lemon slice. Place all ingredients in shaker, mix well – pour into a cocktail glass. Mix all ingredients together and serve on ice. Mix all ingredients and serve in a cocktail glass. Put ice cubes, Cognac, and lemon juice into the shaker. Add a tiny bit of Grenadine and shake well. Pour into a cocktail glass and add the sparkling water. Put all ingredients except the milk and Muscat into shaker. Add the ice. Mix well and pour into a collins glass. Add milk and at the last moment, a touch of Muscat powder. Mix all ingredients except the sugar and coffee in a heat resistant bowl and place over a low heat. Add a lump of sugar, let it melt and stir well. Add coffee. Take the second sugar lump and soak in the Cognac. Place on a spoon and heat over a flame. Once it’s burning, dip it into the bowl – the surface of the liquid should start to flame. Allow these to die down, then serve in heat resistant cups. Dip the sugar lump into the Angostura and place into champagne glass. Add Cognac, then add Champagne. Decorate with the slice of orange – and serve. Place all the ingredients except the Champagne into shaker, and shake… Pour into Champagne glass, add the Champagne. You’re ready to serve. Add the ice cubes, Cognac and lemon peel into the glass. Then pour over the ginger ale and serve. Mix all the ingredients together – and serve in a cocktail glass. Mix the ice cubes with syrup and Cognac. Add milk and stir well. Decorate with a raspberry or two. Shake all the ingredients together and serve in a cocktail glass. Place all ingredients into shaker and mix well. Pour in cocktail glass and decorate with lemon peel. Coming from the US Southern states, this cocktail normally gets served with Bourbon. But for a great twist, try it with Cognac instead. Remove the mint leaves from the branches and mix them with the sugar, cognac, and water in a bar glass. Stir until the sugar melts. Add the crushed ice and stir. Clean the mint branches, dampen, and roll in the powdered sugar. Use these as decoration. You may want to add a splash of Angostura or Rum for a cheeky power blast! Simple to make. Combine all the ingredients in a shaker, shake well, pour, and serve. With either recipe, simply place all in a cocktail shaker. Mix well, and pour into a glass to serve. Mix all ingredients well, then pour into a glass of your choice. The classic cocktail from Harry’s Bar in Paris. Place all the ingredients except the lemon peel into a cocktail shaker, and shake! Pour into a glass and decorate with the lemon peel. The cherry’s for decoration, so leave this to the end. Mix the rest of the ingredients well in a cocktail shaker. Pour into a glass, and pop the cherry on the top. Place the vodka, Cognac, and tomato juice in a cocktail shaker – and shake. Pour into a glass (over ice, if yo like). Add a pinch of salt and pepper, and decorate with the celery stick. Dampen the edge of a cocktail glass and edge with sugar. Place the rest of the ingredients in a shaker and mix well. Pour into the glass, and decorate with a slice of lemon. USA: Jacques Bezuidenhout (San Fransisco), Dale DeGroff (Cofounder of Museum of the American Cocktail), Audrey Sanders (owner of Pegu Club, New York), David Wondrich (author) and Paul Pacult (journalist). Germany: Uwe Christiansen (owner of 2 bars in Hamburg), Goncalo de Sousa Monteiro (Lion Bar, Hamburg), Stefan Gabanyi (Schumann’s Bar, Munich) and Markus Heinze (Sonderbar, Dreseden). Oh, and last but not least, Stanislas Vadrna from the Redmonkeygroup, Bratislava. 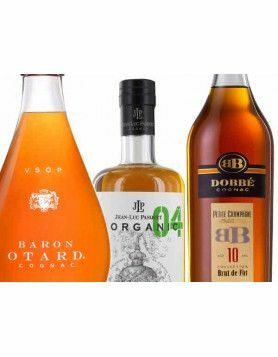 For more Cognac cocktail recipes, check out our new Cognac Drinks & Cocktails section. Hennessy’s Mixmasters DJs will also mix their own cocktails! Hi! Finally tried to mix that SUMMIT drink and I must say: it’s really good. Even my old dad had a try of it and liked it as well. Just didn’t use the right ginger I guess.. too old or so. Great! will try more of those, I am not a pro, but go a cocktail set recently. hell, it’s fun. Mix Hennessy and Kahlua over ice in a Hurricane glass, fill with milk. Stir and serve. receipt #2 is slightly arrogant or the author is just showing off. Madam, Hennessy is a self-sufficient Cognac.It s not rational dissolve it with milk and ruin with ice. Whoa there #4, there’s enough Hennessy on planet earth to spare. Also, champagne and basically any fruit juice, syrup, or cognac is pretty classic. Grand Marnier’s for hot chocolate, man. I scandalize you thusly: sidecar from VSOP, Cointreau, and a really ripe lemon with thick skin and almost sweet pulp. If you think Hennessey is good cognac and Moet is good Champagne, you are mistaken. Most of the serious growers in either region wouldn’t wash their cars with that muck. All this ingredients pour it on cocktail shaker and shake well and pour it on a ice cooled long glass.. Try this and enjoy your drink.. and dont say good night Hook up a slim beauty or if you are woman go for a monkey man preferably with atleast 4 pack ..
I’ve already tried many of the cocktails you described, but I was able to find two completely new recipes and prepare them for my party.